Every sample vacation that you see will be tailored to suit your needs. Make your category selection to start exploring the options! 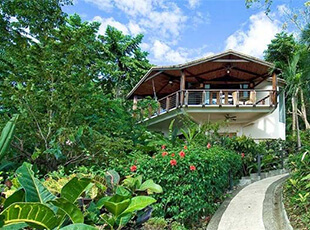 Personalized service and privacy make Vacation Rentals in Costa Rica ideal for your getaway. 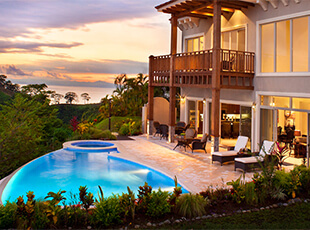 Take a look at our stunning Costa Rica villas and beach rental homes in these top destinations. Costa Rica’s beaches, forests, mountains and valleys offer so much variety—not just in terms of nature but also in diversity of contrast—so it’s easy to forget that the entire nation is smaller than West Virginia. 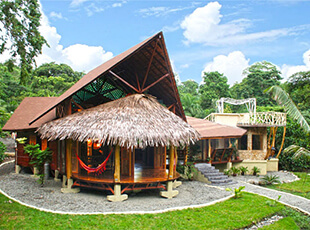 This combination of small size plus lots of options makes Costa Rica perfect for day-trippers. Simply choose your favorite home base and explore from there. That’s where rental properties as part of Costa Rica vacations can offer the perfect accommodation to suit everyone, from intimate honeymooners to extended families abroad for their annual reunions. Which Costa Rica Rentals Are the Best for Me? Look for a vacation rental that meets your requirements, not only for number of bedrooms and bathrooms, but also for amenities (a stocked library and an infinity pool, anyone?). Map out all your planned day trips, then look for vacation rentals in Costa Rica that are central to each. For your sanity, try to keep one-way drive times to a maximum of 2.5 hours. This developed beach town is extremely well located. Just 75 minutes from San Jose, it’s an excellent base for forays inland, as well as along the Central Pacific coast. 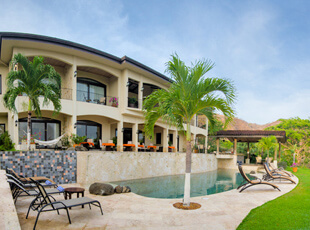 You’ll find excellent options for Jaco vacation rentals, among them the ultra-exclusive rentals at Los Sueños Resort. This large resort features several options, from spectacular ocean-view condos for two, to large and luxe villas suited to large family vacations and reunions. Consistently rated as one of the nation’s most popular destinations, Manuel Antonio is also a top choice as part of our Costa Rica vacation packages. Manuel Antonio is an excellent base for explorations of the southern Central Pacific, from Uvita and Ballena National Marine Park up to Jaco. Punto de Vista, Casa Playa Vista and Los Altos are our favorite area vacation rentals – and they’re also some of the most breathtaking, anywhere in the country. Perched on Costa Rica’s North Pacific coast, the golden crescent of Papagayo encircles an aquamarine bay – a retreat to calm waters and quiet afternoons. It’s the perfect choice for adventures along the coast, into Rincón de la Vieja, and even up to Nicaragua. And just south of this idyllic retreat sits Villa Buena Onda, a vacation rental that you can rent by the room or as an entire home, including personal concierge service, all-inclusive five-star cuisine, and top-notch amenities. There’s a reason everyone raves about Playa Conchal, the Shell Beach: it’s beautiful! The coast’s white sands often glints pink as the sun’s rays reflect off the rounded shell bits that sprinkle the beach. The area’s top resort, the Westin Playa Conchal, offers up types of vacation rentals in Costa Rica, from couples’ condos to spacious villas.